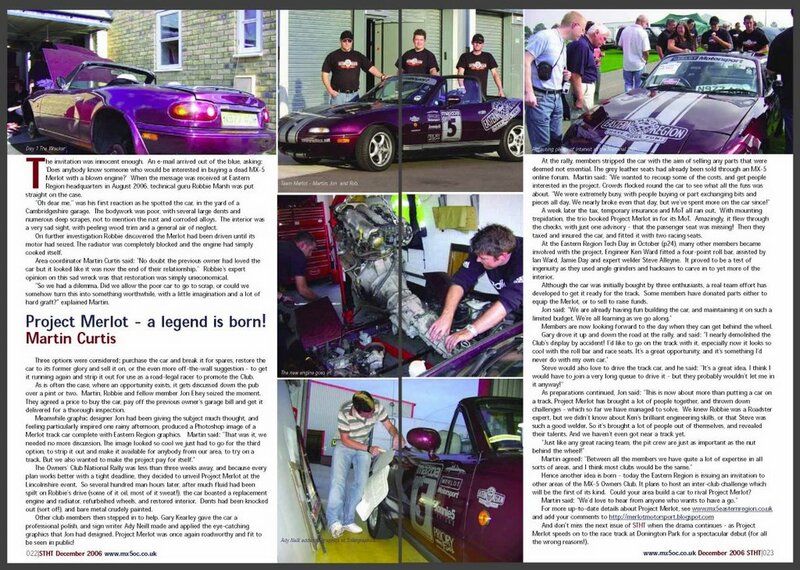 The home on the internet of Eastern Region "Project Merlot"
Project Merlot features in the December 06 issue of "Softtop Hardtop" the magazine of the MX-5 Owners Club. The most famous MX-5 in the UK? Project Merlot goes forward with Adrian Flux Car Insurance. Team Merlot. Awesome Inc. theme. Powered by Blogger.